This holiday season, you may be wondering what to buy for that special blerd in your life. Never fear for I have pulled together some of the best gifts tailored to the unique desires of blerds everywhere. This is your final recommendation for this Christmas season. This one is the ultimate. The #BlerdGift of all #BlerdGifts. In the post on the NES table, I noted that blerds love nostalgia and exclusivity. But if you can turn a fantastical item from blerd fiction into reality, you’ve got the Holy grail on your hands. The science nerds at HENDO have finally made it happen. 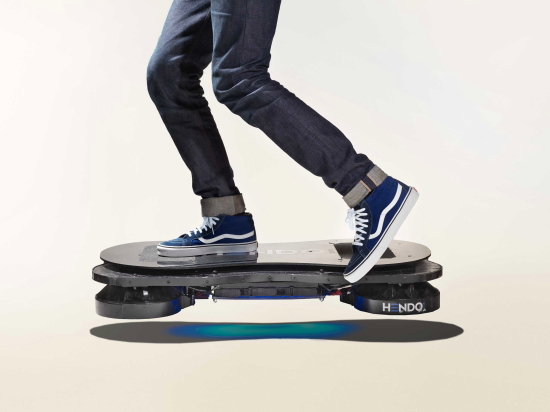 As was foretold in the movie Back to the Future Part II, it is the year 2015 (almost) and The Hoverboard is now reality. As the video details, the hoverboard takes advantage of high-powered magnets and magnetic fields to achieve the lift. The scientific knowledge is frankly nothing new, but it is finally being exploited for recreational means. I mean, who wouldn’t want a Hoverboard? Check out our prior gift recommendations: A hands-free mechanical umbrella system, a life-size (and functional) NES controller coffee table, the USB heated blanket, a Breakfast Sandwich Maker, Bose® Noise Cancelling Headphones, and the Library Chair. Next story Tank is “Quitting” R&B but is it the Fans’ Fault?